Apparel Search receives numerous questions each day from members of the fashion industry. Although we are primarily a business to business website, we also have many resources for consumers of apparel, footwear, accessories, etc. For example, this fashion blog you are currently reading is actually geared to both members of the industry as well as consumers. Today, we received the following question from a consumer. Who is Laura Scott? Sears fashion label - I have a raincoat that needs new closures and I can't find out what kind they are. The raincoat by the way does not appear to be available anymore anywhere except on eBay. Our first suggest to them was to check with Sears because that is where they mentioned the raincoat was purchased. That is a good starting point. However, are their any other options to track down information about this particular garment. Well, it is certainly not going to be easy to locate the raincoats "closure" or get a replacement for it. But this person may be able to at least find the importer of the garment by researching the registration number. What is an RN #? RN stands for Registered Identification Number. It is a number issued by the FTC to U.S. businesses that manufacture, import, distribute, or sell products covered by the Textile, Wool, and Fur Acts. Businesses can use this number on product labels instead of the company name. Companies are not required to use an RN number but they do have certain requirements. Businesses are required to label covered products to identify the business responsible for marketing the products in the United States or the manufacturer. Therefore, you may put your company business name on the label instead of an RN. The business name is the full name that appears on business documents, such as purchase orders and invoices. It is not a trademark, brand, or designer name, unless that is also the name under which the company conducts business. Alternatively, products may be labeled with the RN or business name of the company that is buying the goods from you, such as a distributor or retailer marketing them in the United States. If you are acquiring finished products from an importer or distributor that markets them in the United States, or a manufacturer, the products can remain labeled with that company’s RN or business name. RNs are available only to businesses residing in the United States. However, imported goods can be labeled with the name of the foreign exporter or distributor that markets them in the United States, or the manufacturer. Note: the RN # is often the importer company. However, it is sometimes the retailers RN#. If it is the retailers RN# it becomes more tricky to figure out the actual supplier that manufactured the garment. So, if you are looking to find a factory or supplier so that you can buy more zippers, buttons, etc. it unfortunately becomes more challenging to track them down. You can find a link to try the RN # database search from our RN # search page. What if the company is not in the United States. What can they use instead of their own RN #? If you are the product manufacturer, or engage in the sale, offering for sale, distribution, or advertising of a covered product in the United States, the business name of your company can be used on the label. Alternatively, the product can be labeled with the RN or business name of a company in the United States that is directly involved with importing, distributing, or selling the product. What is a WPL number? Many years ago, the FTC issued WPL numbers to companies manufacturing wool products subject to the Wool Products Labeling Act. The Federal Trade Commission of the United States no longer issue WPL numbers, but many are still in use. They are used in the same manner as RN numbers. What is a CA #? 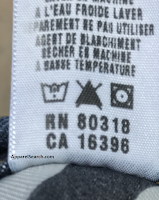 If you see a CA number on a care label, it is in regarding to a Canadian registration. Similar to an RN #, but for Canada. Learn more about CA numbers. If you find this blog post to be of interest, you may also want to ready our Care Labeling Questions & Answers article. You would probably find the following articles to be of assistance as well. 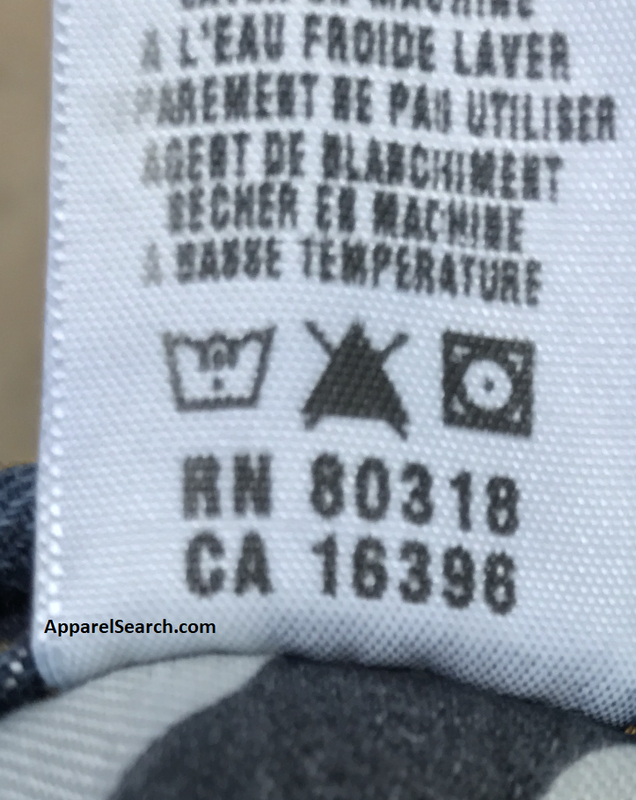 Learn more about care labels here on Apparel Search.